My colleague Martin Barry, formerly of the University of Manchester, has been in the news recently. You can discount the first sentence of the report to which the link leads. If you read the whole piece you will see that the forensic case Martin helped with did not actually involve “deciphering the words of an urban rapper” but rather testing the authenticity of the time stamp on a recording. If the recording had indeed been made at the time claimed by the accused it would have furnished an alibi to the charge of attempted murder. But Martin showed that the recording was identical to another one with a different time stamp, concluding that the first time stamp was false and the purported alibi invalid. Personally, I do not generally accept invitations to act in such cases. The only one in which I did become involved, many years ago, actually involved syntax rather than phonetics. It concerned a Trinidadian defendant who was contesting part of a written police statement reporting his words when being interrogated about some crime. The statement was ten pages long, and he agreed that the first eight and a half pages were accurate. He said that the last page and a half, where the damaging admissions were located, was not: he had never said the words alleged. At the request of his lawyers, I examined the written statement. Then I asked him to come and see me. Without explaining what I was looking for, I set a tape recorder going and fed him with questions for an hour, just to keep him talking — about anything and everything. When his lawyers reported my finding to the prosecution, the latter decided to drop the main charge and proceed only with a minor one, which the accused admitted. So I never had my day in court. The pronunciation with /-z-/ is unknown to both LPD and CEPD. …and, I might add, to all other reference books I have to hand — with one exception. That exception is the Oxford Dictionary of Pronunciation (alongside), which comes from the same stable as the OED. My gut feeling is that it’s pretty bizarre to claim that Americans (or anyone else) typically pronounce nzt rather than nst in monstrous, particularly since no z pronunciation is suggested for the base form monster. It looks to me more like an individual idiosyncratic mislearning of the pronunciation of a particular word. Looking further into ODP, however, I find that that doesn’t seem to be the case. In that dictionary AmE z variants, always prioritized, are given not only for monstrous but also inter alia for inscription, inscrutable, inscribe, inspire, instant, instinct, institute, instruct, instruction, instrument and monstrosity. As I say, there is no such variant suggested for monster, nor for demonstrative or demonstrate, nor (for example) for constable, constellation, constipation, constitution, constant, gangster, hamster, inspiration, instructive, instructor, seamstress. 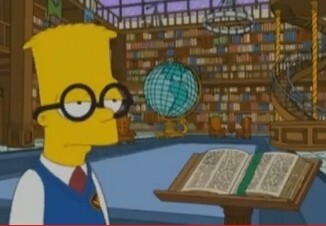 As you can see, I have examined an assortment of words in which the usual pronunciation has nasal plus s plus plosive. But as far as I can see there doesn’t seem to be any consistency in this matter. Do people really treat monster differently from monstrous, inspire differently from inspiration, instruct differently from instructor? 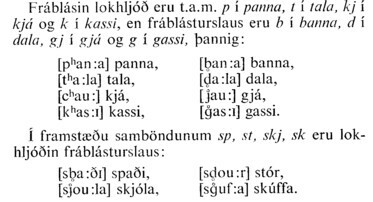 I wonder if Bill Kretzschmar, the author who presumably contributed these pronunciation entries, would care to comment. Happy Easter, everyone. Next posting: 26 April. The Guardian newspaper used to be a byword for typographical errors of one kind and another, which is where its nickname the Grauniad comes from. It is when a spelling mistake is repeated several times in the same article that one begins to feel critical. Yesterday’s paper had a health article by Patrick Kingsley devoted to macular disease, the eye condition that can lead to blindness. Although the disease is correctly referred to as macular, the part of the eye affected is the macula. We nonrhotic speakers pronounce the two terms identically, but the noun is correctly spelt without r, the adjective with. Patrick Kingsley got it wrong, spelling both terms macular. In the version now available on the website the spelling has been corrected and there is an embarrassed apology. The fact that even highly literate university graduates such as Guardian journalists still have difficulties with English spelling supports the view that it ought to be reformed. However any reform intended to apply to English as a whole would have to retain the letter r in those positions where rhotic speakers (who are the majority) retain it. So nonrhotic speakers are still going to have to learn and apply spelling differences that from our point of view are unpredictable, arbitrary: perhaps cawt (caught) vs. cort (court), even though they are homophones for us. Even if we reform our spelling it’s going to have to be marimba but timber, Virginia but linear, necrophilia but familiar, and umbrella but cellar, not to mention lava and larva. Tough. So it is with macula and macular, and likewise for the exactly parallel uvula – uvular, peninsula – peninsular. Classicists will recognize Latin first-declension nouns in -ă and their corresponding adjectives in -ār(is). Still on spelling: today’s paper has a piece mentioning the Welsh historical figure Owen Glendower, or Owain Glyndŵr as he is spelt in Welsh. The Guardian journalist who contributed it is keen to use the Welsh form of his name, but unfortunately writes it Owain Glyndwyr, not once but twice. So far this error hasn’t been corrected on the website…. In the last paragraph of yesterday’s blog I mentioned the language Ju|’hoan (or Ju|’hoansi). I was interested to note that someone then referred to it in a comment as Jul’hoansi. Do you get the difference? The third letter in the name of the language is the Unicode character U+01C0, LATIN LETTER DENTAL CLICK. It is not, as vp interpreted it, a lower-case L (U+006C LATIN SMALL LETTER L). It is very easy to see how confusion may arise. In some fonts the two letters look identical. Here’s the heading of the Wikipedia article, as rendered on my computer screen. But if I copy and paste the first few words of the article into Word, and change the font to Times New Roman, I get this. So in the Arial of Wikipedia the click letter looks identical to a lower-case L. In Times New Roman they are properly distinguished. It gets worse. In some sanserif fonts the upper-case letter i (U+0049 LATIN CAPITAL LETTER I) can appear identical to the lower-case L. This makes it difficult to read a word such as illicit if it appears at the beginning of a sentence, or Illyria anywhere. And here’s a confession: in my blog I actually typed the click letter in the language name not as U+01C0 LATIN LETTER DENTAL CLICK but as U+007C VERTICAL LINE, which can be entered directly from a UK PC keyboard. Back in the old days of mechanical typewriters many machines lacked the figure 1, so that we had to use a lower-case L in its stead. Fortunately nowadays all computers and most (all?) fonts distinguish them. I thought it would be worth exploring how well-known fonts handle these differences. Here is what my screen displays for figure 1 (U+0031 DIGIT ONE), upper-case i, lower-case L, vertical line, and click, in the five fonts named. You can see that Arial is easily the worst, presenting all three alphabetic letters identically. Only Times New Roman and Courier New render all five differently. And then there are І (U+0406 CYRILLIC CAPITAL LETTER BYELORUSSIAN-UKRAINIAN I), Ӏ and ӏ (U+04C0 and U+04CF, CYRILLIC LETTER PALOCHKA and CYRILLIC SMALL LETTER PALOCHKA), ׀ (U+05C0 HEBREW PUNCTUATION PASEQ), Ⅰ (U+2160 ROMAN NUMERAL ONE), ∣ (U+2223 DIVIDES), and ❘ (U+2758 LIGHT VERTICAL BAR). Let’s not even go there. Moral? It is a great pity that in its 1989 symbol reforms the IPA abandoned its distinctive and unmistakable dental click letter ʇ for this confusing vertical line. This relates to an article in Science by Quentin D. Atkinson, an evolutionary psychologist/anthropologist from the universities of Auckland and Oxford. 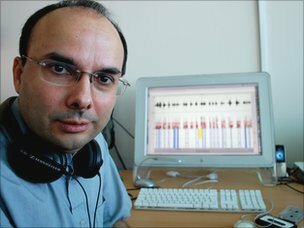 His claim can be summed up as: The more phonemes a language has, the closer it is to the putative origin of human language, in Africa. The fewer phonemes it has, the further away from Africa along the track of presumed human settlement: Africa – Eurasia – America and Oceania. Before we go any further, let me refer you to the excellent discussion of this topic that Mark Liberman has just contributed to Language Log, a discussion which I would urge you to read. He queries the bizarre metric used by Atkinson, which means inter alia that ‘losing a single tone would generally reduce "Total Phoneme Diversity" by as much as losing about 10 consonants would’. Atkinson also ignores syllable structure differences and what they imply. Nevertheless, Atkinson’s claim is interesting and thought-provoking. Atkinson’s claim relates to large-scale families of languages rather than to individual languages or dialects. While it may or may not be justified as a generalization on this macro scale, it clearly does not work in specific cases on a micro scale, as can be seen from the considerable scatter around the trend line on his diagram. Russian has more phonemes than Polish. Portuguese and Catalan have more than Spanish. Marathi has more than Hindi. In none of these cases does it correlate with being closer to Africa. 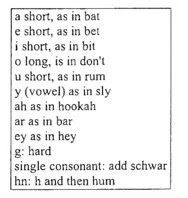 But yes, Ju|’hoan in Namibia, with four tones, 30+ vowels and 89 consonants (including 48 clicks) easily beats Hawaiian with its parsimonious eight consonants and five vowels. For our summer show the LGMC in which I sing is presenting an “aural adventure” called Sound and involving music in a wide variety of styles from a wide variety of places (blog, 4 March). On Monday the composer Orlando Gough joined us to teach us his piece Olympic Hopefuls. This could be called a soundscape of human noises, and involves our unaccompanied singing of a text mostly consisting of nonsense syllables, with occasional strings of real (English) words that nevertheless are not included in any kind of grammatical sentence structure. I suppose you could call the piece an a cappella tone poem. The score contains frequent musical or choreographic directions to the singers: ‘keen, breathy’, ‘slurred, out to lunch’, ‘tribal’, ‘hit chest (hard)’, ‘knackered, panting’, ‘deeply charismatic’ and many others. A paralinguistic feast. 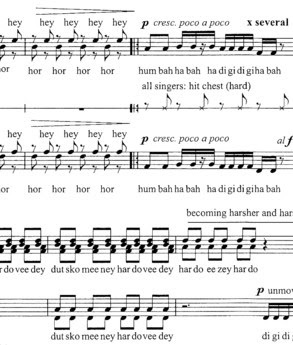 Helpfully, the composer has provided a key to interpreting the spellings of the nonsense syllables. As you can see, the repertoire of vowels comprises just these nine: æ e ɪ əʊ ʌ aɪ ə ɑː eɪ. Schwa is always difficult to respell. I assume that the singers all know that hookah is ˈhʊkə. In interpreting the instruction “single consonant: add schwar” I think the composer means ə, not an AmE-style ɚ. We’ve just got to live with the fact that where the composer writes har most of the choir pronounce hɑː, as he does himself, but that the few choir members who are Scottish or American inevitably go for hɑːr. I started off somewhat sceptical about this composition. But as we practised it I grew convinced that it will make an impressive, if unusual, item in the concert. Orlando’s surname, Gough, is pronounced ɡɒf and is of Celtic origin. In some cases it represents Scottish Gaelic gobha, Cornish or Breton goff, ‘smith’. 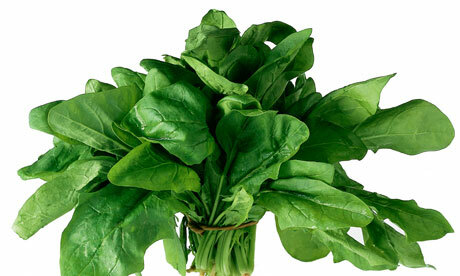 In other cases it derives from the Welsh goch ɡoːχ, the soft-mutated form of coch ‘red’. Here is an interesting graphic created by Jim Scobbie at QMU Edinburgh. It shows ‘a typical Scottish vowel system, single tokens from one speaker’, as revealed by ultrasound tongue imaging. We know that the vowel system of Scottish English is rather different from the vowel systems of all other kinds of English (except northern Irish, which has historical links with it). Most striking is the absence of the FOOT-GOOSE opposition that is found in all other varieties of English. In Scottish English, good rhymes with mood, look is a homophone of Luke, and put rhymes with shoot. All have the same close vowel, phonetically somewhere in the range u - ʉ - y. There is also typically no opposition between LOT and THOUGHT or between TRAP and PALM. So cot and caught are likely to be homophones kɔt (as in many other kinds of English, though not in England), and so are Sam and psalm sam. There are no intrinsically long vowels in the Scottish system, although some vowels undergo lengthening when morpheme-final or when followed by v, ð, z, r (the ‘Scottish Vowel Length Rule’ or Aitken’s Law). In particular, vowels are short before d, which means that the vowel in Scottish need sounds shorter than that in English need, though the quality is still tense i. If we take the verb to knee, however, its past tense kneed has a long vowel because of the morpheme boundary. Thus we have a minimal pair nid – niːd. Other comparable pairs are brood – brewed and tide –tied. Try side and sighed on your Scottish friends: they will typically be amazed that non-Scots do not distinguish between them. This clip is also notable for the placename Avoch. As you can hear, the speaker calls it ɔx. I didn’t put the name of this tiny village in LPD, though EPD has it, as ɔːx, ɔːk. Wikipedia transcribes the name ɒx, and has a sound clip. Since there is no LOT-THOUGHT opposition in Scottish English, it is pointless to argue which of the two is correct. I shall be busy at a conference over the next few days. Next posting: 12 April. Why does English r have such a strong labial component? nevertheless I am sure that I am not alone in lip-rounding initial r in read and rest just as in root and raw. I have found that I can often improve English speakers’ pronunciation of Spanish or Italian r by getting them to get rid of the lip-rounding of this consonant that they wrongly carry over from English to the target language. Where does this labiality come from? 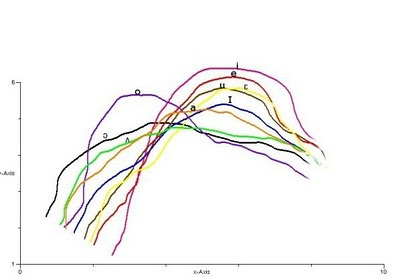 Does the secondary labialisation of the RP R have anything to do with the loss of the labio-velar approximant in initial 'wr' sequences in words like 'write', 'wring', etc.? My impression is that the R-labialisation is a relatively recent change, whereas the 'w's in question have been silent for a lot longer. And yet, for R to take on labialisation with no apparent trigger seems whimsical (which I realise languages very often are, but still.). It’s an attractive idea, and one that I think has been floating around for some time, though I can’t put my hand on any discussion of it in the literature. The OED, under the letter W, has a long discussion of “The combination wr”. Here’s a fragment. Signs of the dropping of the w begin to appear about the middle of the 15th cent. in such spellings as ringe for wring v., rong for wrong adj. ; these become common in the 16th cent. (for examples see wrangle n., wrap n., wreak n., wreck n.1, wrench n.1, wrest n.1, etc.). Reduction of the sound is also indicated by the converse practice of writing wr- for r-, which similarly appears in the 15th cent. (in wrath for rathe), and becomes common in the 16th; for examples see the subordinate entries under wrack n.1, wracked adj., wrap n., wretchless adj., etc. In standard English the w was finally dropped in the 17th century. Pairs such as wring – ring, write – right, wrap – rap are homophonous in all kinds of modern English. Yet until a few hundred years ago they were distinct, the first in each pair having a labialvelar component and the second lacking it. Is it plausible that as the distinction disappeared it was the labialvelarized variant that became generalized, so giving us our modern labialized r? some speakers labialize /r/ whatever the following vowel. In extreme cases, lip-rounding is accompanied by no articulation of the forward part of the tongue, so that /r/ is replaced by /w/ and homophones of the type wed, red are produced. Alternatively a labiodental approximant [ʋ] may be heard as a realization of /r/ or even for both /r/ and /w/. Pronounciations [sic] of this sort were a fashionable affectation in the nineteenth and early twentieth century; and can still be heard as such from some elderly people educated at major public schools. I don’t know what evidence there is for accusing those who do this of a ‘fashionable affectation’. None, I suspect. The Guardian’s parliamentary sketch writer Simon Hoggart regularly lampoons Sir Peter Tapsell MP for his supposed use of /w/ for /r/. Here he is recently. 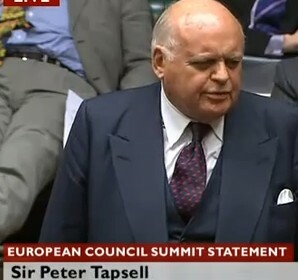 Sir Peter Tapsell had made one of his stupendous interventions, calling for "the complete sepawation" (Sir Peter has a slight speech impediment) of commercial and investment banks. I doubt very much that Sir Peter actually confuses /r/ and /w/. He does use [ʋ] for /r/, though. Listen here and judge for yourself. Faute de anything mieux with which to celebrate April Fool’s Day, here is an example of … er, cack-handed misspelling of Welsh. 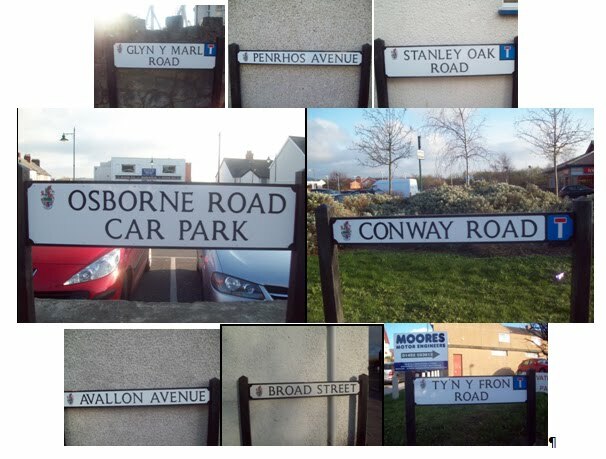 It shows a street name erected by the local council in Conwy borough in north Wales, and is taken from a blog entry whose Welsh title translates as ‘A nasty smell at the Junction” (that is, Llandudno Junction). The first line, GWEL YR AFON, is the name of the road, “River View”. The second ought to be FFORDD BREIFAT, “private road”, i.e. a road for the maintenance of which the local council does not accept responsibility. To simplify the sociolinguistic demographics somewhat, we can say that Conwy borough combines an English-speaking urban centre with Welsh-speaking outlying villages. There had been complaints about the number of English-only street signs and road names. The Welsh word preifat ‘private’ shows by its form that it is the English word ˈpraɪvət respelt in accordance with Welsh spelling conventions (f = v). In the sign, the initial consonant is correctly mutated to b-, to agree with the feminine noun ffordd fɔrð ‘road’. If this word had been borrowed into Welsh direct from Latin prīvātus 1800 years ago when the Romans were in Britain, as were such words as pont ‘bridge’, llafur ‘labour’ and ffenest ‘window’, I think it would probably have come out as something like prywod. (Compare parātus → parod ‘ready’.) But obviously it wasn’t. It came via English. The person who created the road sign knew sufficient Welsh to do the correct mutation. But he or she was English enough to confuse the digraphs ei and ie and to produce a fine example of non-rhotic hypercorrection. As it stands, the sign regrettably suggests that the road is characterized by flatulent cheese-eaters.